‘…as you know, we took last year off the road to rest, pray and dream about what was next for All Sons & Daughters. We spent the first half of the year wrestling through the initial shock of being off the road after 7 years, celebrating Poets & Saints at the Grammy’s, and diving in to our individual dreams and plans at home. Each time we came together to talk about the future of All Sons & Daughters, we struggled to gain a clear picture. Since the beginning, our music was birthed from and written for our local church. While David is still involved with Journey church, last December Leslie and her husband Thomas felt led out of that community. With that as our reality, we were struggling to find the heartbeat for new music. And while we could continue to write songs for the “global church,” we feel that is not true to our original vision for the band. So, after much prayer and consideration, we have decided that our season as a band has come to an end. This decision was not made in haste or out of any discontentment with one another. We still have the utmost respect for each other and will continue to champion one another into whatever the Lord calls us. Our involvement in music and in one another’s lives will not wane; it will just look different from the previous season…’ With David Leonard and Leslie Jordan making music together officially as All Sons and Daughters for the past 7 years, we have been blessed to hear this critically acclaimed duo make some of the most heartfelt, honest, raw, real and most poignant worship songs this generation has ever seen. From songs like ‘Called Me Higher’, ‘Rising Sun’, ‘Oh Our Lord’, ‘All the Poor and Powerless’ and ‘Oh How I Need You’, to ‘Great Are You Lord’, ‘Brokenness Aside’, ‘Reason to Sing’ and ‘Christ Be All Around Me’; both David and Leslie have embarked on a unique journey as we were given an avenue into worship music that literally turned the genre of worship music in its head. And how, in 2018, we are a little shocked, saddened, yet still humbled and proud to have known All Sons and Daughters for so long. As this above quote by the band as a unified response, suggests, they are indeed parting ways. Yes, as of right now currently, All Sons and Daughters are no more. We may never really know a real true reason as to why a band splits up, other than they are called to different areas, but we will know this about All Sons and Daughters– their ministry of music and endeavouring to deliver and give to us worship music that is creative and still accessible to the wider community of the church, is nothing less than undeniable and extraordinary, as some of their songs within the fulfilling, albeit short, career they’ve had, are fast becoming some of the most underrated worship songs I reckon, this generation has ever seen. And so, to tribute a band that’ll sorely be missed (alongside two other great bands that are somehow calling it quits- Switchfoot are on a hiatus and Third Day are parting ways as well), Integrity Music has unveiled a 15 song journey encapsulating their career in a nutshell. Sure, there are songs that are omitted that I reckon should’ve been included in such a best-of list, yet, as a whole, this collection of the greatest hits of All Sons and Daughters, quite possibly one of the most innovative worship bands that have disbanded since Delirious way back in 2009, is something to savour and enjoy as the months and years roll on. With one look at the tracklist, we can see that although a short 15 track list, we are still blessed with songs that have made such an impact throughout their career. ‘Great Are You Lord’, ‘Christ Be All Around Me’, ‘Rising Sun’, ‘All the Poor and Powerless’, ‘Brokenness Aside’ and ‘Oh How I Need You’ are all standouts throughout their career and are all present on this best-of recording. ‘Great Are You Lord’ especially has been a chart-topping success for All Sons and Daughters, with even co-writers One Sonic Society recording an alternate version of the song- that song being present on WOW Hits 2018 when that compilation released last year October. There is even a sizeable proportion of Poets and Saints on this compilation- and why wouldn’t they be? 4 out of 15 tracks! Especially when Poets and Saints received a Grammy nomination for Christian album of 2016/17…why not? Songs like ‘You Hold it All Together’, ‘This My Inheritance’, even ‘I Surrender’ the first radio single from Poets and Saints are present on this compilation. Which then leads me to another question- if all these great songs are present on this 15 track album, why am I rating this 4/5? What songs aren’t there, that are making this album be from a 4.5 to a 4? Let me say that this rating score is only based on song choices. 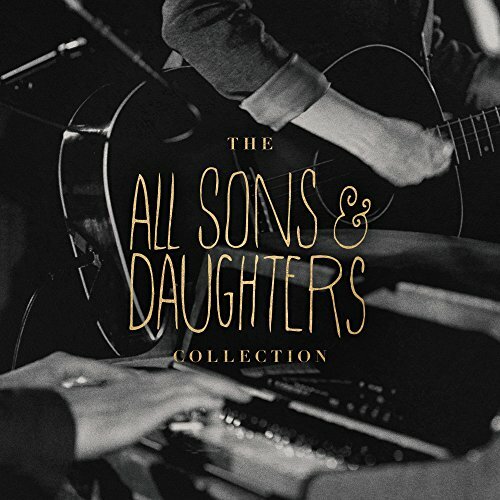 All Sons and Daughters are a great band in and of itself, and frankly, the track listing of 15 songs is too short to try and capture what the band is about. So much so that songs like ‘Spirit Speaks’, ‘Hear the Sound’, ‘Buried in the Grave’, ‘Oh Our Lord’, even ‘Tonight’ which was a co-write with Francesca Battistelli and appeared on her 2014 album If We’re Honest, all these songs were not there, but should’ve been. Especially ‘Spirit Speaks’, that was a big game-changer for the band and was considered that unofficial ‘first’ single for the band as the song debuted in 2011 as part of the Know Hope Collective initiative that Mark Stuart birthed for a few years (and that led to All Sons and Daughters becoming a band and re-recording the track to be placed on their Season One 2012 release). Nevertheless, despite these mishaps, the album as a whole is a great one to mull over and reflect upon, reminding us that lately, great bands have gone too soon. Switchfoot, Third Day and All Sons and Daughters have all shaped an era of music that will be truly different with the absence of these three bands (Switchfoot may return, we don’t know, they’re on extensive hiatus, just like DC Talk!). So what’s next for David Leonard and Leslie Jordan? We don’t really know. And maybe that’s ok. As the band continue to divulge in their post on their website, ‘…we want to say thank YOU for your unending support of the music and content we have created over the past 7+ years. We didn’t anticipate many of the opportunities we were given but just tried to walk in obedience through each open door. Many of those doors led us to your cities, neighbourhoods, and churches and we are so grateful to you for welcoming us with open arms. Lastly, in celebration of our season together, our friends at Integrity Music will be releasing a collection of AS&D songs, so be on the lookout for that in March. We pray that God will continue His beautiful work in the church and we can’t wait to see what the next season holds…’ It is a sad moment in Christian music history when a band that is most underrated and equally impacting and poignant decides to take a step back and change the course of their individual music careers. Nevertheless, just as Martin Smith continues to pursue worship music even now, long after the departure of Delirious?, here’s hoping David and Leslie continue to pursue what is on their hearts as they spread the love of God in the upcoming months and years ahead. Til such a time that we get new music from either David or Leslie, we will enjoy The All Sons and Daughters Collection on repeat for a while yet! Previous PostSanctus Real – ChangedNext PostFLASHBACK FRIDAYS: WEEK 13 (Response by Phil Wickham; and Born Again by Newsboys)- So…now that we know that we are unconditionally loved, what is our response? What does it mean to be ‘born again’?